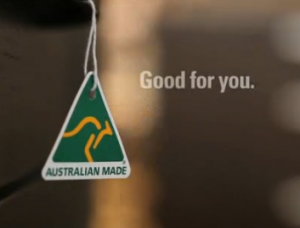 The Australian Made Campaign is renewing its call for mandatory country-of-origin labelling across all food products, after Food Standards Australia New Zealand (FSANZ) revealed that this information would remain optional on a small range of unpackaged foods. FSANZ was originally instructed to develop a proposal to extend country-of-origin labelling across all primary food products for retail sale as part of the Government’s response to the Review of Food Labelling Law and Policy in 2011. However, this week FSANZ made public that mandatory country-of-origin labelling would not be extended to unpackaged foods not already covered by the standard, including game meats, poultry other than chicken, eggs and cheese. Ian Harrison, Chief Executive of Australian Made Campaign, said he was disappointed that the proposal had been scrapped, arguing that extending the country-of-origin labelling requirements to all foods would have reduced consumer confusion and promoted confidence in the system. “Food labelling requirements should be clear, straightforward and above all consistent — all food, packaged or unpackaged, should be required to carry a country-of-origin label,” Mr Harrison said. “Consumers want to be able to buy with confidence, and a big part of this is knowing where their food comes from,” Mr Harrison said. According to Mr Harrison, the impact on producers would be minimal, and some major retailers are already labelling these unpackaged foods voluntarily. The Australian Made Campaign has called for mandatory country-of-origin labelling across all food products in numerous submissions, including to the current House of Representatives inquiry into food labelling. Australian Made Campaign submissions can be found at http://www.australianmade.com.au/resources/submissions/.